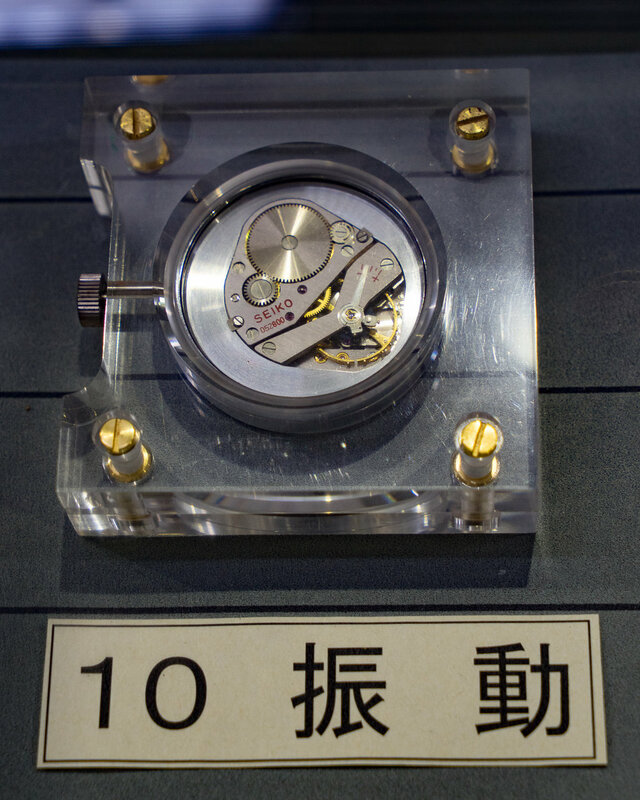 Throughout the 1950’s the Japanese Ministry of Commerce and Industry held the “Quality Comparison Testing Board for the Assessment of International Timepieces” a competition measuring the accuracy of locally produced watches. The rules for the competition varied over the years, sometimes consisting of items pulled randomly from retail production models and in other years specially tuned examples were able to be entered. In later years imported models were also randomly selected and compared to domestically produced retail models. Over this time both Suwa-Seikosha and Daini-Seikosha dominated these competitions, for example in 1958 the Suwa produced Marvel took the first nine places in the competition. The Japanese domestic competition ended in 1960 with Cronos, Lord Marvel and Grand Seiko models competing. By the end of the Japanese competition it was determined that the domestically produced models had significantly increased their accuracy, quality and reliability and could compete with other internationally available models. At this same time the world best chronometers were being tested at a number of Observatory competitions held in Europe. One of the most famous was held at the Neuchâtel Observatory in Switzerland that was established in 1858 and the first chronometer tests were conducted there in 1860. The testing evolved over time and eventually was divided into different categories, and as new technologies were introduced the categories were expanded to include these advances. Each of the different categories had specific requirements for the devices to be submitted, these were commonly based around the physical characteristics. 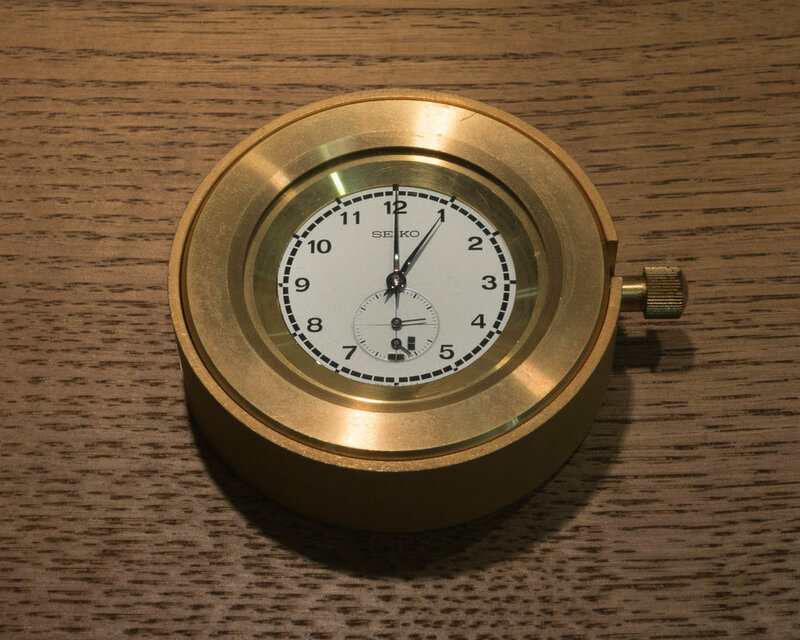 For example to qualify as a wrist chronometer the movement was required to have a diameter that did not exceed 30mm, have a surface area of 707 square mm or less and a maximum thickness of 5.3mm. To evaluate the performance of watches submitted for the competition they underwent a series of rigorous tests in a process that lasted approximately 45 days. The watches were tested ten times in five different positions and at two different temperatures. 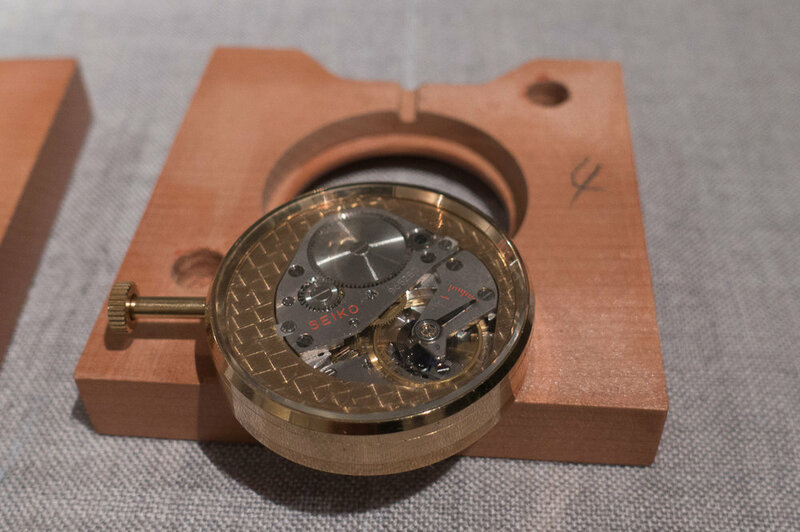 To make it easier to measure the watch in the different positions the watch movements were housed in a square casing that makes it simple to position the watch on different axis. These housings were designed by the company submitting the watch and were made from a range of different materials including, wood, polymer and metals. Each of these different test results are combined with a formula to determine a final number referred to as the N-Score. This allows the accuracy of the watches to be compared against each other across different years, the lower the number of the N-Score the better performing the watch. A theoretical watch with absolutely no errors in all of the tests would result in an N-Score of zero. In addition to the individual ranking of the submitted watches a series prize was also awarded for the lowest average score of the top four submissions from the same company. On the dial there is a pair of markings that allows for the accurate measurement of the second hand. As it moves across the sub-dial the hand will completely black out the square and then again on the second square ten seconds later. This movement across the black sections of the dial allows the timing to be accurately measured to 1/100th of a second. Each of the movements that are submitted to the competition is the responsibility of a specific regulator. This is the person who makes the adjustments to the movement and regulates it to the best of their ability. It is not just the design of the movement that will determine the accuracy of the watch but also the skills of the regulator to make the adjustments to it. In 1959 the Neuchâtel Observatory opened up to entrants from outside of Europe. After this rule change the competition was branded as “international” but at this point there were very few participants from countries other than Switzerland. 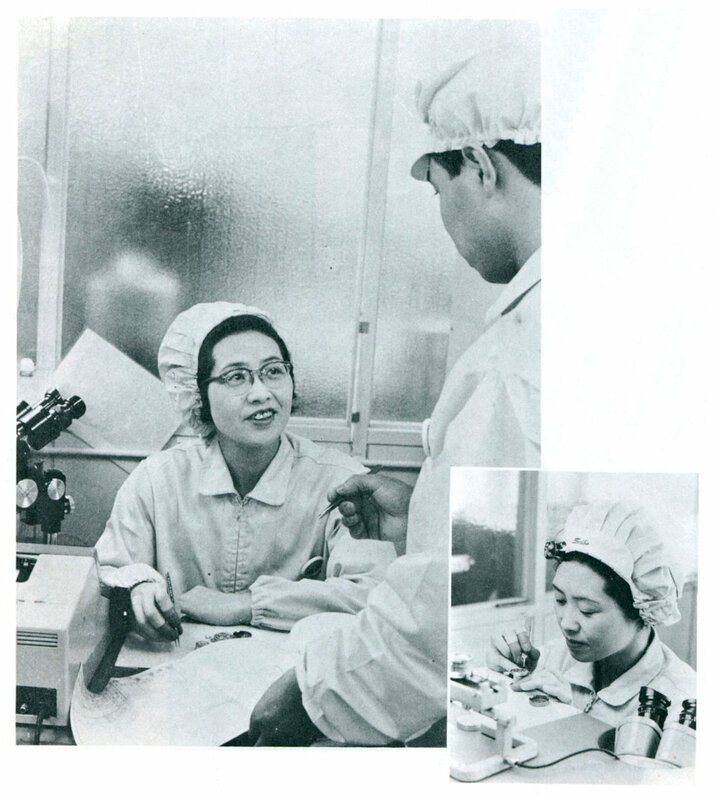 In 1962 Seiko contacted the Observatory and was advised that "We welcome participation from Japan", they provided the competition regulations and relevant materials. 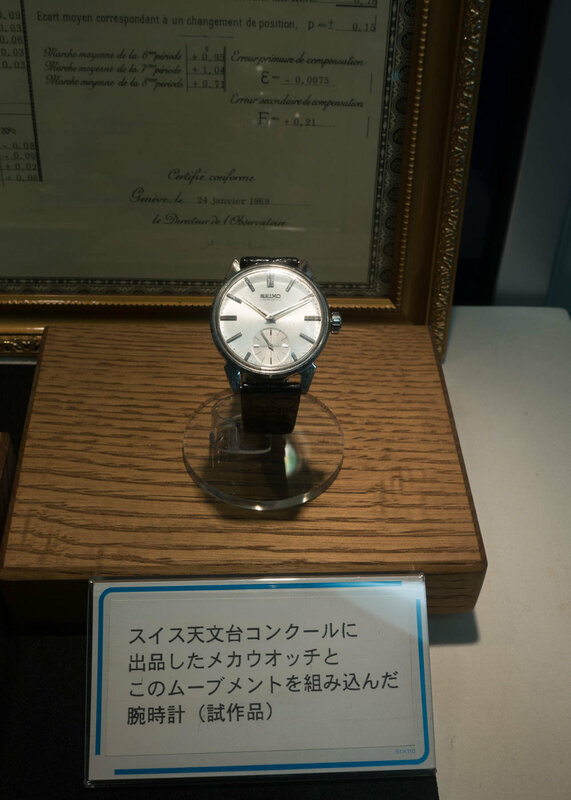 In 1963 Suwa-Seikosha became the first Japanese company to join the Neuchâtel Observatory chronometer competitions. 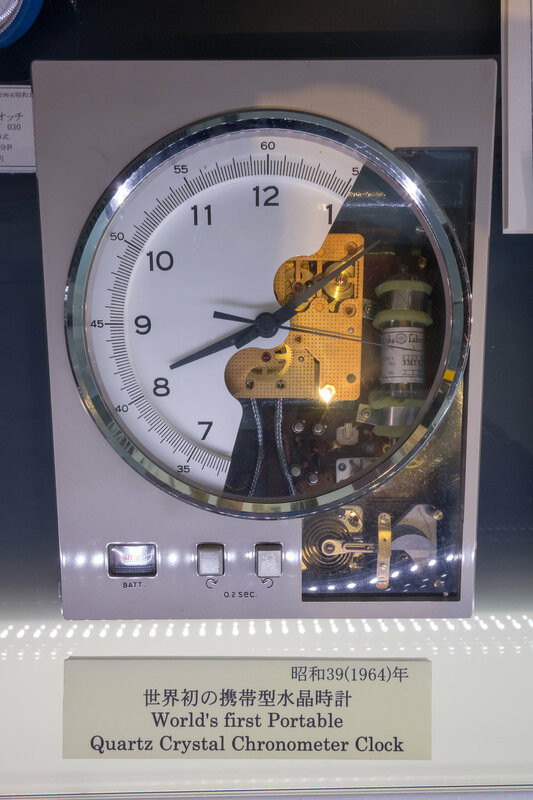 For the first time the company entered their new “Crystal Chronometer”, that had been developed as a timer for the upcoming 1964 Olympic Games that were to be held in Tokyo. These were entered into the portable quartz chronometer and quartz marine chronometer categories where it was awarded the tenth place. 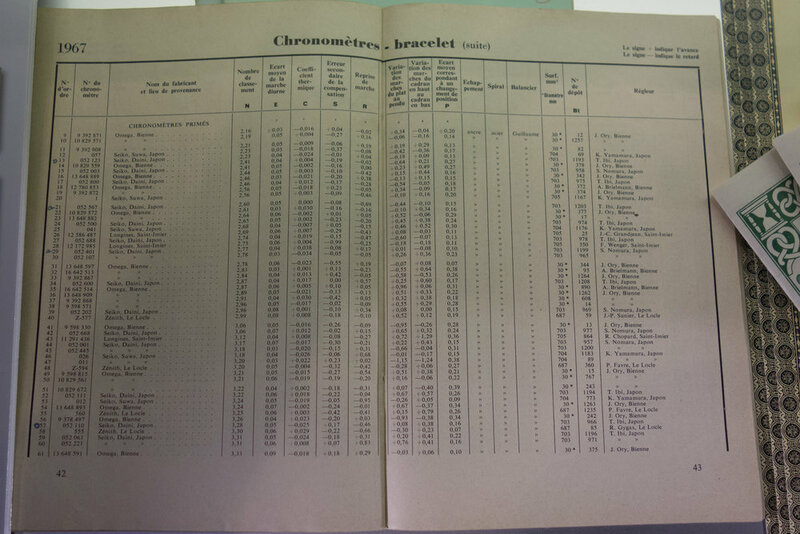 The commercialized version of the Crystal Chronometer was the QC-951 that was publicly released in February 1964 and was used successfully during the Olympic Games that same year. Suwa-Seikosha competed in a wider range of categories in 1964. They entered the cal.952 into the new quartz deck chronometer category and took the 2nd to 7th places. 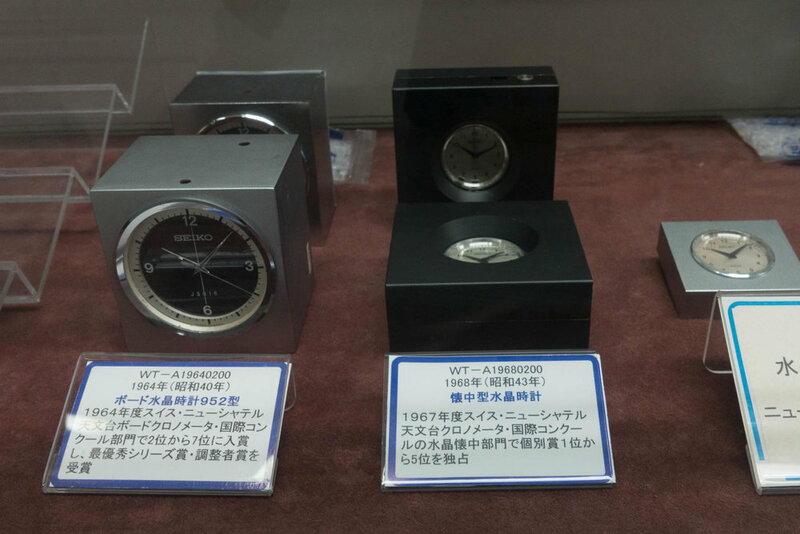 Suwa submitted a number of quartz models for chronometer certification and 14 pieces were awarded this. Suwa-Seikosha also submitted ten pieces into the wrist watch chronometer category. These models were the new cal. S-36 that was specifically designed for the competition. To meet the size criteria for the wrist watch division the Suwa S-36 movement was designed with a superellipse shape to maximize the size of the balance and the mainspring. Unfortunately in their first year of participation in the wrist watch category Suwa-Seikosha did not perform well with their best effort reaching just the 144th position and their worst performing example being ranked at 185th. The watches received an N-Score of 7.97 to 15.45. None of the watches were awarded prizes. 1964 was also the first year that a second Japanese company, Daini-Seikosha, also joined the Neuchâtel Observatory competition. In their first year Daini-Seikosha submitted four entries in the wristwatch category. These were the new specially designed caliber 965 movement that was given the nickname “potato”. The results for the Daini-Seikosha pieces were even worse than those of Suwa-Seikosha with the watches ranging from 153rd position to 186th. The N-Score for these watches ranged between 8.6 and 15.89 and none of them received a prize. After the competition concluded it was determined that the balance springs for the watches had become slightly magnetized and this had significantly impacted their performance. To ensure that this did not happen in any future competitions the company switched to using Permalloy, a highly magnetic resistant material, for the watch case and dial. When transporting the watches they were placed into a magnetic resistant case and for the journey to Switzerland a route that avoided the North Pole was selected, despite the fact this only creates a field of 0.3 to 0.5 gauss. The performance for the Suwa-Seikosha watches was significantly improved in 1965. This year they submitted 14 watches that achieved a rank of 114th to 206th with N-Scores between 5.86 and 17.71. These watches were split between five examples of the calibre S-36 and nine examples of the newly designed R-45 caliber. The models ranking was fairly evenly mixed between the two calibers but the two highest Suwa ranked examples were the new R-45 caliber and the top one was awarded a prize. In 1965 Daini-Seikosha submitted 13 watches and these achieved a rank of 124th to 201st in the competition. These had an N-Score of 6.94 to 11.86 with the two top ranked models winning prizes. The watches this year were again all 965 based movements. The 1966 competition showed some improvements for Suwa-Seikosha with the twelve R-45 movements submitted. The best performing example this year was ten places higher finishing in 104th position with an N-Score of 4.64. Nine of the watches were awarded prizes. The worst performing example was placed 206th with an N-Score of 7.85. The submissions from Daini-Seikosha performed significantly better with the highest performing example breaking the top ten when it was ranked in the 9th position. They submitted 25 watches and were ranked between 9th and 219th with N-Scores of 2.61 to 10.0. Of the 25 units there were 15 of the 965 caliber from previous years and ten examples of a newly designed high beat 052 “potato” movement. The new 052 movements significantly outperformed the older 965 caliber with the first seven positions for the company being awarded to the 052. From the 25 examples submitted this year 23 of them were awarded prizes. In the 1967 competition Suwa-Seikosha entered a total of 27 watches. Twenty five of these watches were the R-45 models that were the same caliber entered the previous year. These watches performed well with the best performing example being awarded the 12th position, with a N-Score of 2.23, and the worst performing being ranked 194th with a N-Score of 7.11. Suwa also submitted two prototype examples of a new caliber, the R-67, that were placed 20th with a N-Score of 2.56 and 248th with a N-Score of 9.22. These examples can be identified by the minimally larger surface area that was listed as 705 square mm compared to the 704 square mm for the R-45. These two examples also can be identified by their single digit serial numbers. The new calibre obviously had vastly different results between the examples but did show significant potential. With the exception of the 248th placed example all other watches were awarded prizes. Suwa were likely very happy with their results with 16 watches having a N-Score less than their previous single best effort from 1966. Daini-Seikosha entered 36 examples of their 052 caliber for the competition this year. These achieved rankings of 4th to 178th and had N-Scores from 2.04 to 6.02. The N-Score of 2.04 was the sixth highest score for a wristwatch ever recorded at this time. The top eight examples from this year improved upon the previously best ever N-Score from Daini. The examples submitted operated at either 36,000 bph or 72,000 bph, surprisingly the lower bph models performed better than the higher beat examples. All of the 36 watches submitted received prizes. The first place in the 1967 competition was awarded to Omega with a N-Score of 1.73, the 2nd and 3rd examples had a N-Score of 1.87 and 2.00. The second company represented was Daini-Seikosha with the 4th placed N-Score of 2.04 and the third placed company was Suwa-Seikosha. The fourth placed company was Longines with their leading entry being ranked 26th. The results for both Daini-Seikosha and Suwa-Seikosha were very impressive considering their improvements and the short time they had been competing. Daini-Seikosha had improved from the 153rd position and a N-Score of 8.6 to the 4th place with a N-Score of 2.04 in just three years. Suwa had improved from 144th with an N-Score of 7.97 to 12th position and a N-Score of 2.23. The very rapid improvements in accuracy and ranking by the two Japanese companies had shown them to be worthy competitors. On the 5th of May 1968 the Council of Neuchâtel in Switzerland announced that the wrist watch category of that year's competition was to be cancelled, the other categories were to continue as normal. It was advised that the competition would return the following year and that the rules were being re-evaluated to more accurately represent actual production watches in the market. Despite not conducting the competition the Observatory still issued results to the companies that had already submitted watches that year. The complete details of all companies’ entrants are not available but the top entries from Suwa-Seikosha for 1968 exceeded any of their previous attempts. The average N-Score of the four watches submitted by Suwa was 1.935, a score in line with the series winning award received by Omega in 1967. The two individual top N-Scores from Suwa in 1968 were both 1.78 followed by 2.05 and 2.13. This placed the Suwa entries into the following all time competition positions. The two top Suwa entries both had a overall N-Score of 1.78 and this was calculated from the following measurements. Although the Neuchâtel competition for wrist watches was not being held the Observatory still accepted submissions of movements to obtain the standard Chronometer Certificates. Over the next three years Daini-Seikosha submitted 283 movements for certification and 226 were awarded chronometer status. 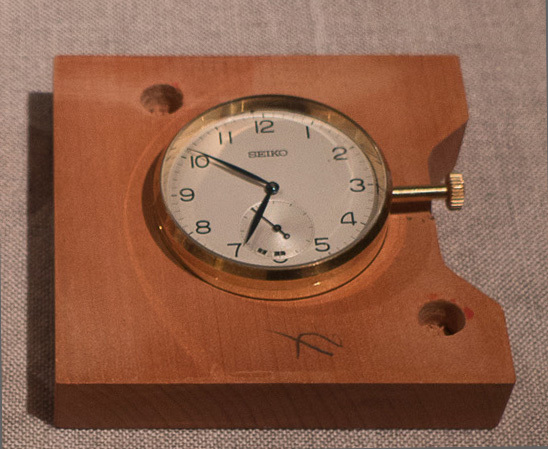 The movements that passed were sold to the public as the Seiko Astronomical Observatory Chronometer. More info on this watch can be found HERE. With the Neuchâtel competition not being held in 1968 Suwa-Seikosha decided to enter a number of movements into the Geneva Observatory competition. This competition was similar to the Neuchâtel version but the scoring system was calculated differently. Instead of aiming to have the lowest N-Score the Geneva competition rated a movement with a score out of 60, the higher the watch scored the better performing it was. A theoretical watch that measured no errors in every test would receive a score of 60. In the 1968 Geneva Observatory wrist watch competition the top three positions were awarded to quartz prototype movements from Centre Electronique Horloger (CEH), a consortium of Swiss manufacturers that was based in Neuchâtel . The fourth to tenth positions were awarded to Suwa-Seikosha with the top mechanical example in the competition receiving a score of 58.19. When the measurements were calculated using the Neuchâtel N-Score system it resulted in a score of 1.33, significantly lower than the all-time record for a mechanical watch. The previous top score in the Geneva Observatory competition was 56.42 by Omega in 1967. Notes: 1968 Geneva competition - Suwa-Seikosha awarded positions 4-10th with best score 58.19 (N-Score equivalent 1.33). Movements submitted likely R-45 and R-67. Tsuneya Nakamura joined Suwa-Seikosha in 1944 and was one of the key driving forces for the company's participation in the Neuchâtel competition. All ten of the movements submitted by the company in the 1964 competition were regulated by him. Nakamura-san was heavily involved in the development of the Marvel and Grand Seiko models as well as quartz models, he later went on to become president of Seiko Epson in 1987. Yamamura-san was the Manager for the Suwa Section 2 Development Department. He was the official regulator for all Suwa entries for the Neuchâtel competition in 1965, 1966 and 1967. His best performing movement was ranked in 12th place in 1967 and had an N-Score of 2.23. 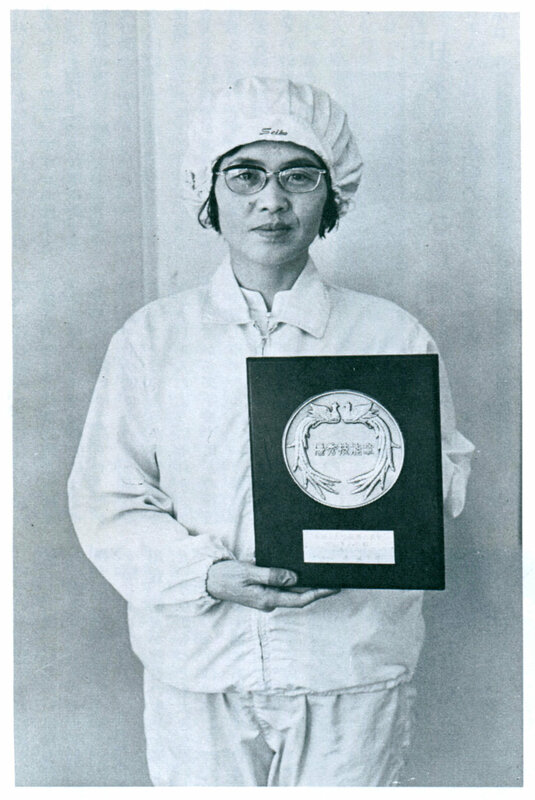 Kiyoko Nakayama joined Yamato Kogyo in 1932 and remained with the company when it became Daiwa Koygo and eventually Suwa-Seikosha when it was created in 1959. Nakayama-san was one of the company’s most experienced staff members. She had worked on the movement assembly and became quickly known for her efficient and accurate construction. In addition to her extensive experience from assembling high quantities of movements she was also gifted with an unusual trait of not sweating through her palms. This meant that after assembling movements there was significantly less corrosion that occurred, and during a time when air-conditioning was not present, this made a significant difference. She was one of the few women at the time who had achieved the 1st Grade Certified Skills in Watch Repair and was in charge of the assembly of numerous movements, from the small size 5 caliber to larger men’s models. Nakayama-san was heavily involved in the assembly of movements for the domestic watch competition and later went on to become one of the key technicians assigned to the assembly of the movements for the Neuchâtel competitions. 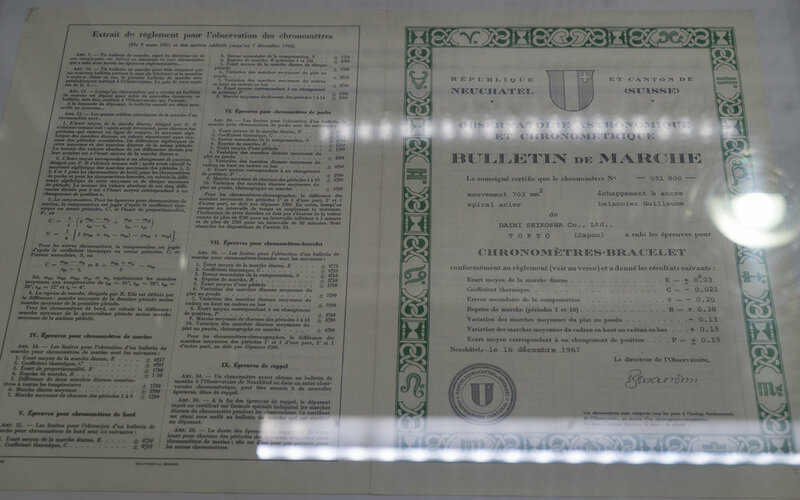 In 1968 Nakayama-san was one of the official regulators for Suwa in the Geneva Observatory chronometer trials where she became not just the first woman in the competitions history, but went on to win one of the nine adjustment prizes awarded to Suwa. 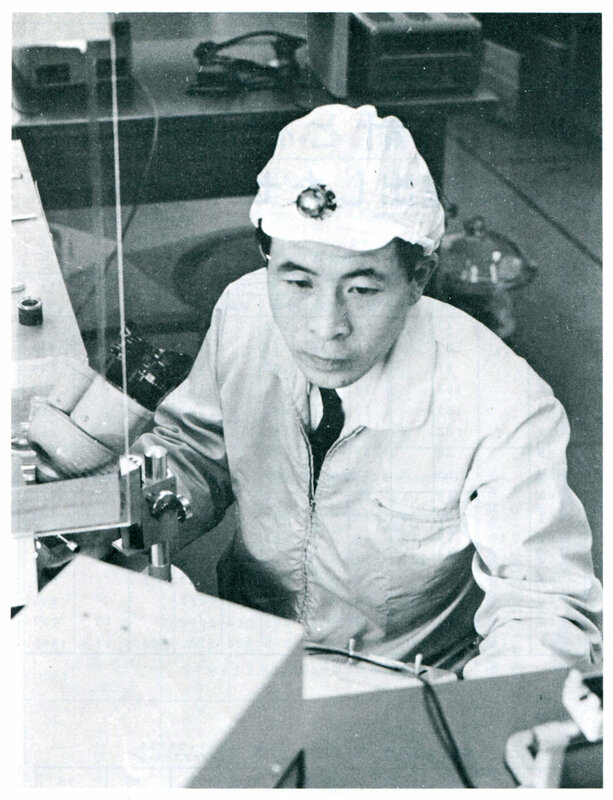 Tokuichi Inagaki joined Suwa in 1953 and he participated in the Neuchâtel Observatory Chronometer Competition in 1967. The following year he participated in the Geneva Observatory Chronometer Competition as a regulator where his watches received five of the nine awards that Suwa won, including the top place. This top position was a record for a mechanical wrist watch with a score of 58.19. That result converted to the Neuchâtel system would result in a N-Score of 1.33. In 1973 Inagaki-san was officially recognized by the Japanese government as a Great Craftsperson in the Present World. 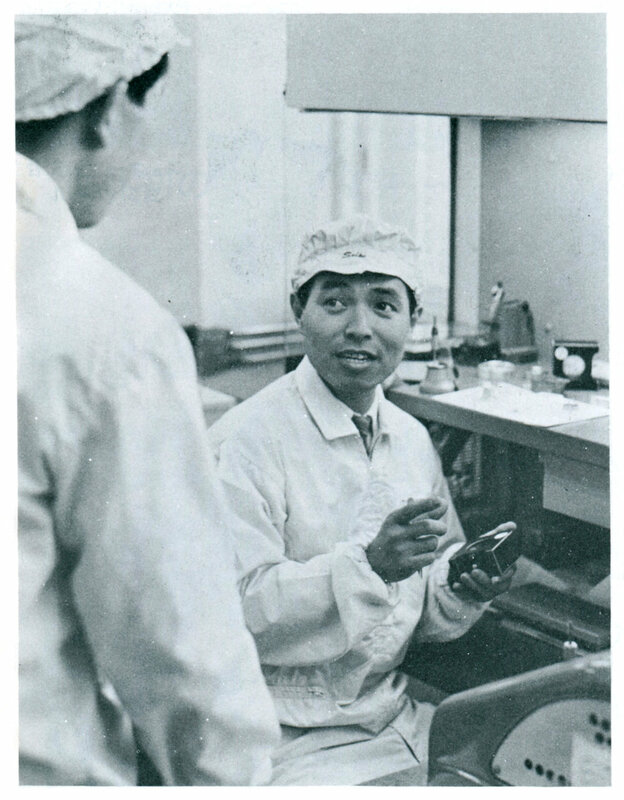 Kenichi Koike joined Suwa in 1955 and became a highly valued technician. Koike-san was one of the three regulators who represented Suwa in the 1968 Geneva Observatory competition and received three of the nine prizes awarded to the company. 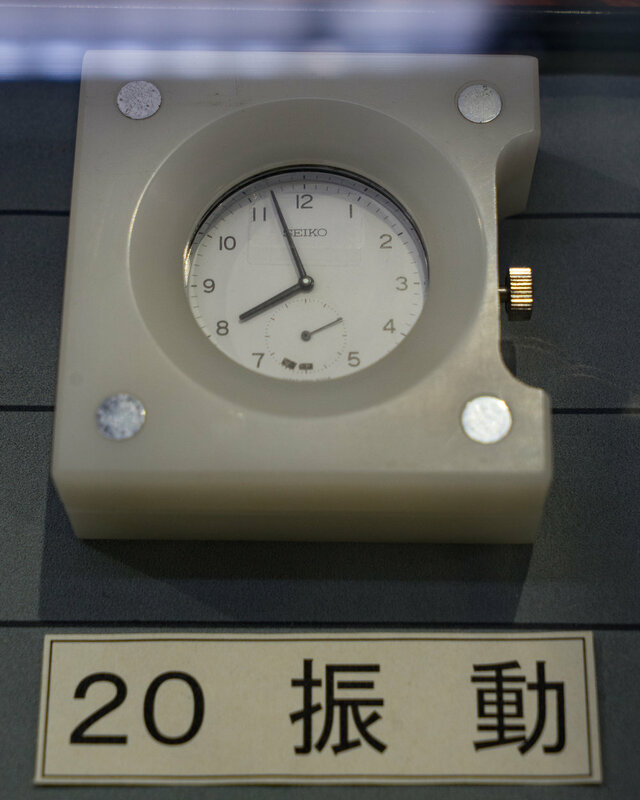 After the chronometer competitions Koike-san provided guidance to other staff members who were entering the Japanese Skills Competition, and contributed to improving the precision of mechanical timepieces. He also worked on the research and development to decrease the size and weight of quartz watches. In 1987 Koike-san was officially recognized by the Japanese government as a Great Craftsperson in the Present World. Sohachiro Nomura joined Daini-Seikosha in 1950 and was employed in the watch research division. He was the sole regulator of the company’s entries in the 1964 Neuchâtel Observatory competition and was also one of two regulators for the 1965 entries. At the 1965 competition he became the first Japanese entrant to receive a movement adjustment prize. He also was one of the two regulators for the 1966 and 1967 competition entries. His highest performing entry was 4th in 1967 with a N-Score of 2.04. In 1974 Nomura-san was officially recognized by the Japanese government as a Great Craftsperson in the Present World. Ibi-san had joined Daini-Seikosha in 1953 and was also part of the watch research group. He joined Nomura-san as the second regulator for Daini in the 1965, 1966 and 1967 Neuchâtel Observatory competitions. His best performing movement was in 1967 with the 7th placed entry gaining a N-Score of 2.12. Osamau Sugawara was one of the key designers behind the Daini-Seikosha movements that were submitted to the Neuchâtel Observatory competition. The original 965 movement and the following 052 movements had a unique shape that was designed to maximize the potential size of the mainspring barrel and balance wheel while remaining within the categories constraints. Due to its unique shape the movement was given the nickname of “Potato” and when management first saw the prototype the stated that "This is not a watch". 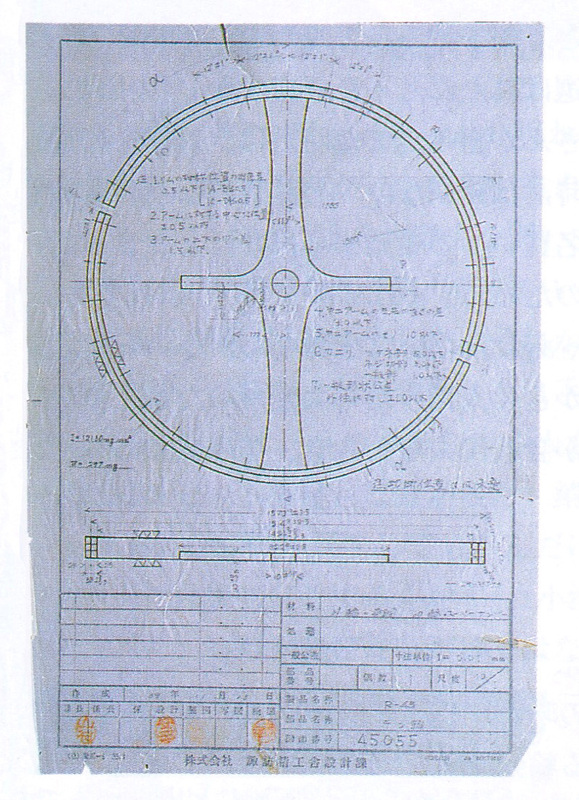 Sugawara-san wrote a controversial analysis of the design in what became known as the “Firestorm Report”, detailing why this unique layout provided the optimum capabilities for the competition. There were five main caliber designs that were created for the Neuchâtel Observatory competition by the Suwa and Daini companies. These were tweaked over time to obtain the best performance and different configurations were compared and evaluated. You will note that all of the competition calibers are not decorated at all and have very basic finishing in some areas. This is because the only consideration for these movements is performance. If an adjustment to a movement does not improve performance then there is no need to include this. These watches could be considered the ultimate tool watch with them specially designed for a single purpose. The S-36 caliber was the first caliber designed for the competition by Suwa-Seikosha. It had a distinctive superellipse (rounded rectangle) shape that was selected to maximise the size of the balance and mainspring. Having a larger mainspring generally allows for more power to be evenly distributed over a longer period of time. The larger balance wheel increases the rotational inertia to allow for more stable operation. The watch had a surface area of 704 square mm coming in just under the 707 square mm competition limits. The S-36 movement is fitted with a split Guillaume bimetallic balance with a Breguet overcoil hairspring. The balance wheel is manufactured with two different metals that react to temperature and when paired with a steel balance spring the differences in their temperature response approximately cancel out each other. The S-36 operated at a very traditional and conservative five beats per second (18,000bph). The watch was entered in the 1964 and 1965 Neuchâtel competitions and achieved the best N-Score of 7.97 placing it 144th in 1964. The movement is housed in a 40mm golden plated case, with golden crown and crown tube. The plating is not for aesthetic purposes but to minimise any oxidation and corrosion on the watch. The watch can be quickly identified by superellipse shape and the six digit serial number that begins with 366xxx. The R-45 movement was the follow up to the S-36 design from Suwa. This also has a similar superellipse shape and also had a 704 square mm surface area. The movement is housed in a larger 50mm case and the crown size slightly increased. The R-45 operated at double the rate of the previous design, now operating at the high beat 10 vibrations per second (36,000bph). Not limited by conventional thinking may different techniques were tested when designing the movement. The movement continues the use of a Guillaume bimetallic balance wheel but it is much larger in the R-45 when compared to the S-36 models. The balance wheel has a pair of arms that extend out at 90 degrees to the main axis. These short arms can be shaved or filed down to allow for minor timing adjustments to be made. As it is impossible to completely eliminate small amounts of abrasion occurring during operation, even when using jewelled pivots, a small amount of dust is created and this will impact the movements performance. To minimize this effect oil is used on the joints, the team tested a very wide range of different oils including mineral oils, animal oils, vegetable oils and synthetic oils. Eventually the use of synthetic oils was selected as it minimized any oxidation occurring. To minimize oxidation to the movements surfaces the team experimented with filling the watch cases with hydrogen or nitrogen. This also had the effect of slightly altering the air resistance that the balance wheel faced. They did not initially have the capabilities to do this in house so movements were adjusted, then in the evening taken to a company located nearby in Chino. Here the movements were placed into a bag filled with hydrogen or nitrogen and the cases sealed before being taken back to the factory for measurement. They were then opened, adjusted and the procedure repeated again. The technique of filling the watch case with an inert gas like nitrogen to prevent oxidation was later used on some of the high-end Grand Seiko and VFA production models. The caliber was entered in the 1965, 1966 and 1967 Neuchâtel competitions and achieved its best N-Score of 2.23 placing it 12th in 1967. Examples of the R-45 were also likely submitted to the 1968 Geneva competition. The watch can be quickly identified by superellipse shape, enlarged balance wheel and the simple three digit serial number. The R-67 represented a complete redesign of the movement from Suwa with a radical and is easily identifiable by the distorted pentagonal shape that may have been inspired by the Daini-Seikosha layout. Prototypes of this movement were minimally larger with a surface area of 705 square mm but this appears to have been changed back to 704 square mm in the 1968 designs. The movement is housed in a golden 60mm diameter case. The dial has two sets of hands on the sub-dial, the operation of the two sub-hands is not clear as I have not seen the movement in operation. The R-67 was an extreme high beat movement operating at a rate of 15 vibrations per second (54,000bph) or 20 vibrations per second (72,000bph). To cope with the higher beat rate the balance wheel on the R-67 is much smaller than the R-45 movements with the size much closer to the original S-36 size. The movement was designed for the 1968 competition but a pair of early examples were submitted to the 1967 competition achieving 20th place and a best N-Score of 2.56. As the winning results of the Suwa entries in the 1968 Geneva competition performed significantly higher than any previous R-45 entry it is logical to assume that the majority of the high performing entries that year were the new R-67. 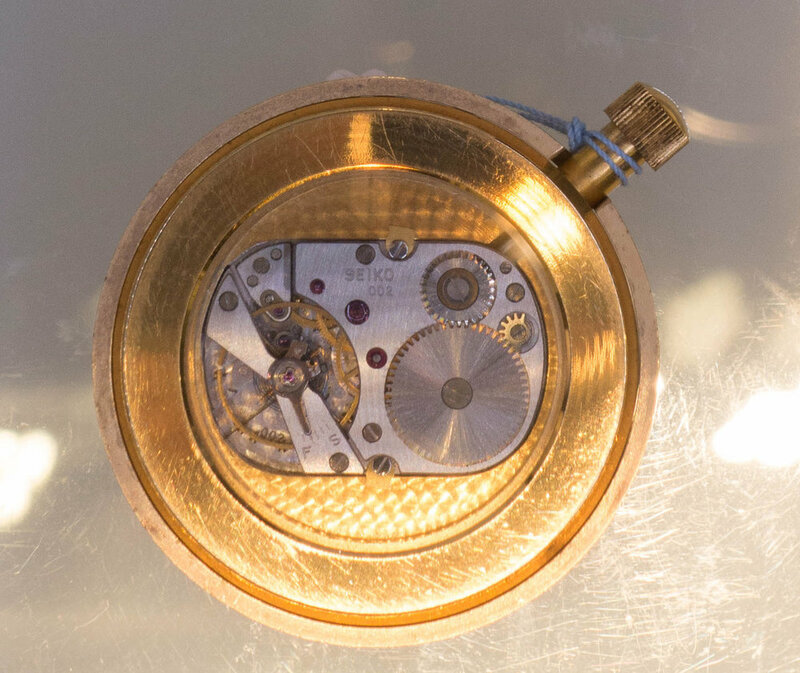 The most distinctive feature of the 965 caliber is the unusual “potato” shaped movement and this became the nickname for these competition movements. The key designed behind the unique configuration was Osamau Sugawara. The layout allowed for a very large mainspring barrel and balance wheel. Like the Suwa calibers the 965 was fitted with a split Guillaume bimetallic balance with a Breguet overcoil hairspring. 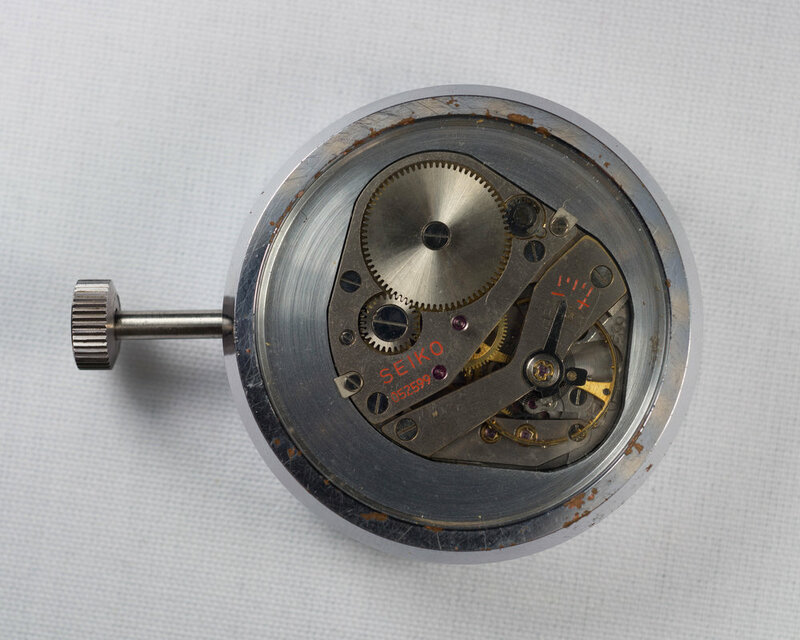 The 965 movement ran at 6 beat per second (21,600 bph) and was housed in a golden plated 40mm case. Unfortunately the 965 was not housed in a highly magnetic resistant case and if was found that after the 1965 competition that the hairsprings in the movements had been slightly magnetised thereby significantly reducing their performance. This caliber was entered in the 1965 and 1966 competitions. The best performance for the 965 movement occurred in 1966 with a 108th position and a N-Score of 4.88. The movement can be easily identified by its unique potato shape and the serial numbers beginning with 965xxx. Developing on the lessons learned with the 965 caliber Daini introduced the 052 caliber. This movement featured the same potato shaped design allowing for a very large mainspring barrel and balance wheel. Remembering the issues that the 965 faced the 052 is housed in a 45 mm diameter permalloy case with a matching permalloy dial to minimize magnetic influences. The case is nickel plated to minimize oxidation. The movement increased the beat rate from the 21,600 bph on the 965 to a high beat of 36,000 bph. In addition to the 36,000 bph variant there was also a competition model produced running at twice the rate at 72,000 bph. 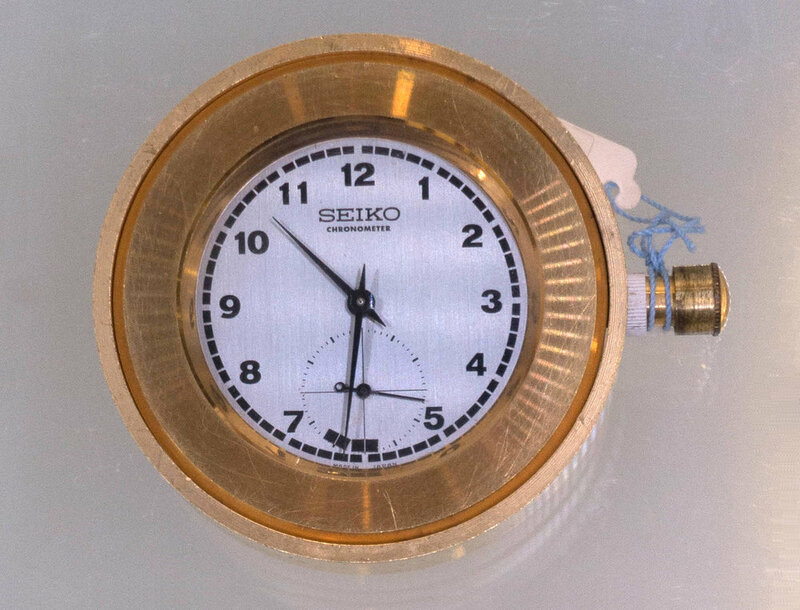 During the development process Seiko tested different designs all the way to 50 bps (180,000 bph) but these extreme rates were determined to provide no real advantage. In the competition the 36,000 bph models outperformed the 72,000 bph variants. It is easy to tell the two beat rate models apart by the size of the balance wheel. The 36,000 bph model have a very large balance that dominates that side of the movement. The 72,000 bph models have a much smaller balance wheel to compensate for the higher operating frequency and the increased rotational forces. The other distinctive feature on the 052 is the use of a complete width bridge to hold the balance. This allows for more stability when compared to the cantilever type used in 965. The unique shape and bridge for the balance make the 052 easily recognisable and these are also identified by the serial numbers beginning with 052xxx. Note: None of these specialised competition calibers were ever sold to the public but Suwa-Seikosha did create a prototype case for a model as they considered this option. With a case size >40mm the watch would have been extremely large for the time. *4 Likely prototypes, appears was changed to 704 mm in 1968 models.